This week the articles on the Signs.com blog have been all about home-based entrepreneurship. Brad Manuel’s guest article on Monday told us about Nothing Knew, the business he started from his home in order to keep track of his three busy teenagers. On Tuesday, our copywriter Catherine interviewed the owner of Pear Tree Preschool. Libby Monson’s in-home business allows her to spend the day with her four-year-old and be finished with work in time to care for her two school-aged boys. On Wednesday, Catherine shared seven of the traits she’s seen time and again while interviewing successful small business owners. Catherine has obviously learned a lot from those interviews. And in fact, she’s recently started an in-home business with her husband, Jan. Since she won’t write about herself, I thought I’d turn the tables on her and interview her for a change. OK, so you already have a full-time day job at Signs.com. Why start a business at home, too? It was really my husband’s idea. We both dream of early retirement and I recently started paying back some fairly hefty student loans. We’d like to retire in about ten years, but we definitely need to make some additional cash during that time to pay off debt and save toward our goal. We figured we could either get second jobs or start our own business. Since neither of us wanted someone else dictating how we spent our evening hours, we thought a business would be perfect. So let the cat out of the bag already. What’s the business? It’s called Tiny Java. 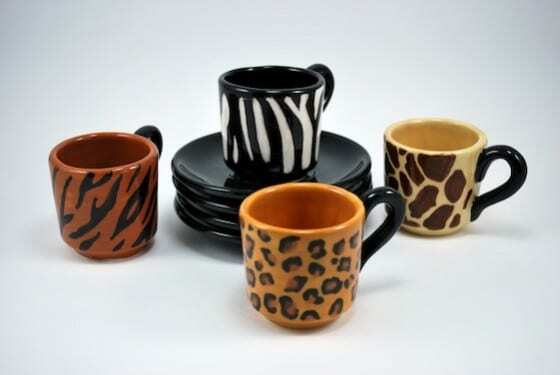 We hand paint espresso cup and saucer sets and sell them on our website. We found that we love designing and painting so much that we’re working on a second business, Tiny Tableware, that offers hand painted tea sets for children. We came up with the idea by thinking of instances where we couldn’t find what we wanted. When we got our espresso machine a few years ago, we wanted some cute cups. There are tons of great designs out there for coffee cups, but the only espresso sets we could find were either clear glass or white. Boring. I’d also recently looked for a ceramic tea set for a friend’s daughter. 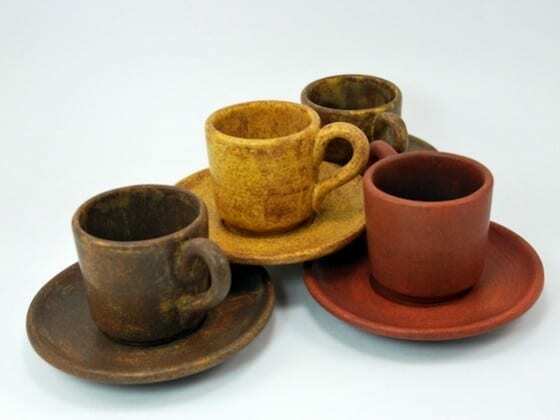 Most ceramic sets have teeny little cups that can’t be actually used to drink from. The sets that are more functional are all plastic. I had really wanted something special, but I simply couldn’t find it. Once we identified those wants/needs, we did some research online to determine if other people were looking for the same things. We also ran the ideas past a bunch of other people and the response was positive. So we figured we didn’t have much to lose. Why did you choose to operate the business from home? 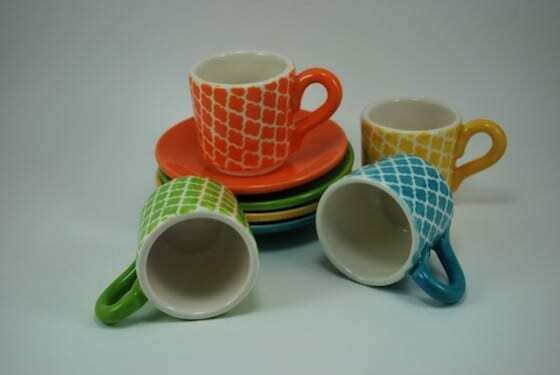 Handmade espresso cups and tea sets are very niche products. We can offer them online and only need a tiny percentage of people to look for them. And, we wanted flexibility. We don’t need to be home to care for small children, but we’re kind of spoiled; if we want to go to dinner and a concert, we want to just go. If we had a retail space, we’d be stuck at the shop. The other draw with an Internet business is that the overhead is extremely low. 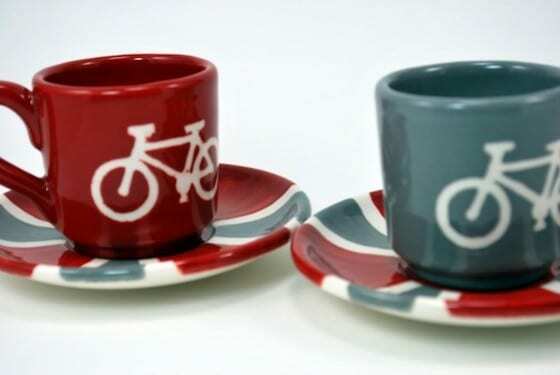 If we never sell an espresso cup, we’re not out much money. A whole lot of time. But not a bunch of money, at least. Tell us about the ups and downs of getting the business started. Others make it look so easy to start a business, but I suspect maybe they’re just faking it ‘til they make it. We had some real challenges in the beginning. We had decided to hand-paint our espresso cups. Neither of us had any real experience, but I’d taken my daughter to a ceramic painting studio several times and we’d had fun painting the bisque. We figured we could buy a kiln, some bisque and paints and be on my way. We had a vague idea of what the process entailed and we pretty much just jumped in. We got a great deal on a used kiln, but it doesn’t have an electronic controller, so we had to go through a lot of trial and error to learn how to fire our pieces properly. That took a couple weeks. 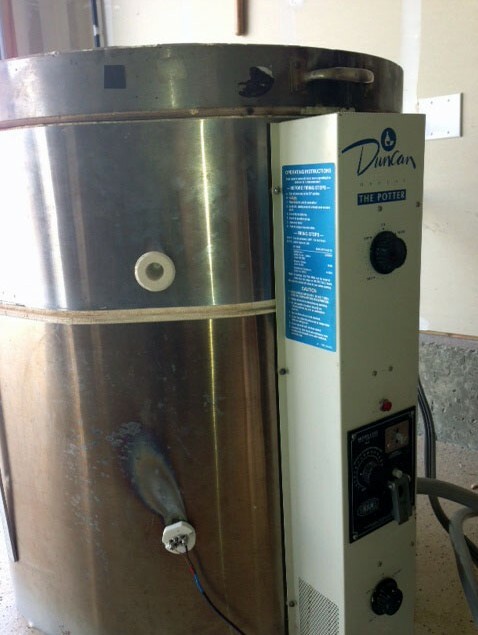 Just as we had the firing process figured out, the kiln started acting up. The top section wouldn’t heat all the way, and several pieces were ruined when we attempted to re-fire them. Now we’re just using the bottom two-thirds of the kiln until we can upgrade, but in the meantime, we had to adjust settings again to get the right temperatures. Another few weeks in trial and error. We went through four different types of glaze before we found one that worked. It turns out that glaze is a tricky thing—potters and ceramists spend months finding the right product for their needs and learning how to apply it properly. It took us months and each time we tested a glaze that didn’t work, we ruined another batch of product. I had to learn how to paint. I’d painted a couple of little things in the past, and while they were kind of cute, they certainly weren’t the kinds of things you could sell. I thought I could just pick up a paintbrush and magically create fabulous works of art. Pretty arrogant, I guess. It’s a skill that takes a LOT of practice. So I practiced a lot. And burned through a couple hundred dollars in bisque and a couple hundred hours in the process. Luckily, I found out that I actually like to paint—good thing! Basically, the learning curve on the whole creation process was a lot steeper than we’d expected, and we had a few technical glitches that cost us months of time while we figured them out. What other challenges did you have? Unfortunately, on top of the whole creating-a-handmade-product type of errors, we made a lot of mistakes that many new entrepreneurs make. We set a goal to have our site up and running by October 1st. Then we almost killed ourselves trying to reach the goal. When it was clear that the product was nowhere near ready for the public, I got pretty depressed and almost gave up. My husband kept me going. I learned that while setting goals is great, learning to be flexible and recognize what’s really possible is important, too. Both of us are perfectionists and we’ve often found ourselves worrying over some tiny little detail. We’ll spend hours tweaking one little link on the site and completely ignore a bigger issue that needs attention. We’re also a bit impulsive. I got a wild hair one day and decided to completely revamp our designs. Instead of taking a cautious, measured approach, I just jumped in. Turned out that most of my new ideas weren’t very feasible and some weren’t even possible to create with ceramic paint. Jan once spent an entire day changing various aspects of the website, only to find that he’d made it uglier and less usable. We also spent a lot of time comparing our product to other products that weren’t very similar. We went to Target and some other stores and looked at their coffee mugs and were comparing our stuff to theirs. Our stuff is hand painted, so every cup is a tiny bit different, which really bugged me at first. The stuff at the store has been painted with industrial sprayers and manufactured in huge factories in foreign countries, so it’s all exactly the same, which is how I thought our stuff should look. Then we went to Portland and visited the Saturday market. Once we looked at other truly hand crafted pieces we realized that our stuff shouldn’t be all uniform—the draw was that each piece was truly unique. Another issue we had to overcome was pricing. 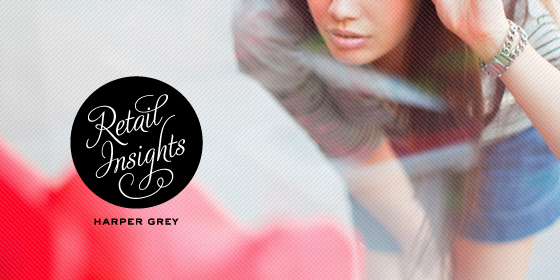 Our pieces are very time-intensive, so we have to charge a premium for them. Again, the Portland Saturday Market helped us out—the artists who make a living selling their beautiful things know that they’re worth more than the mass-produced stuff at the box stores and they charge much more than Target or Walmart. Both Jan and I come from frugal families with a do-it-yourself pioneer mindset, so we had to adjust. We had to realize that our target market would be willing to pay what we need to charge to make the business work. It’s a small market, but enough to keep us busy. How have you overcome your challenges? Oh, we just closed our eyes, clicked our heels together and wished them all away! No, really… we haven’t overcome all of them. We both still have perfectionist and impulsive tendencies. But we recognize that we have those issues and both try to keep each other in check. And, we’ve realized that it’s OK to make mistakes. I’m sure we’ll keep making mistakes, and as long as they’re different things every time and not the same error over and over, we can consider it part of our education as entrepreneurs. You can check out Tiny Java online here.